There’s so much to enjoy about living in Queensland. The weather, the lifestyle and the relaxed feeling that comes from being part of the Sunshine State! Queensland has some of the most popular beaches in Australia and hundreds of picturesque destinations within easy travel of thriving metropolitan areas like Brisbane. For local downsizers, Ingenia Lifestyle is a smart choice for living your over 50s life in style. Our over 50s communities, also known as lifestyle villages, in Queensland are designed for active over 50s who want to lead an active retirement lifestyle on their terms. Located in areas both north and south of Brisbane with high growth potential and easy access to shopping, medical facilities and entertainment, you’ll find that convenience, comfort and quality are all part of an Ingenia Lifestyle! Bethania — Perfectly situated amongst the rolling hills of Bethania, overlooking the Logan River, Ingenia Lifestyle Bethania offers the perfect combination of natural beauty, convenience and comfort. Chambers Pines — The relaxed charm of Chambers Pines lifestyle community in Chambers Flat has seen high demand. It’s a warm and welcoming community for over 50s seeking more affordable and age-appropriate homes in Logan, south-west of Brisbane. Hervey Bay — Hervey Bay is Australia’s premier whale watching city and a great base to visit heritage-listed Fraser Island, go boating, fishing or simply relax and soak up the sun and enjoy the coastal surrounds. Ingenia Lifestyle locations are welcoming communities and represent retirement living in Brisbane and Queensland at its very best. Safe and secure, stylish and well-maintained, our over 55 communities empower residents set life at their own pace to relax and enjoy time at home, stay active and enjoy being part of the community. Our community program of events, fun activities and our innovative BE ACTIVE! wellbeing program are lots of fun! Many Ingenia Lifestyle residents are happy travellers in the Greater Brisbane area, Queensland and beyond. With on-site management, security and friendly neighbours, our community residents feel confident to “lock-up-and-leave” their low-maintenance, sustainably-designed homes to travel locally and abroad. It’s great to hear their stories at community events, by the mailbox or when our paths cross when walking the dog. Some of our residents say they’re able to see more of Australia than ever before thanks to the security and financial benefits of downsizing, along with the Ingenia Gold Card, which provides exclusive holiday discounts. 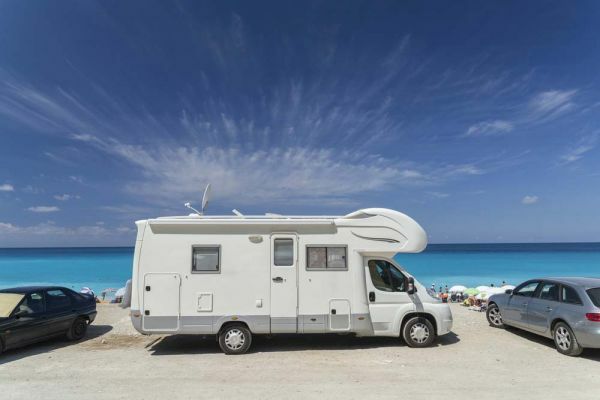 As an Ingenia Lifestyle homeowner, you too could be grabbing your suitcase, booking a flight or packing up the caravan to enjoy more Aussie adventures! The Smart choice for many reasons! You’ll also access exclusive resident benefits, active community programs and events. As an Ingenia Lifestyle resident, you’ll own your own home and have the independence and time to enjoy life at your own pace. Downsize to a higher quality of lifestyle.